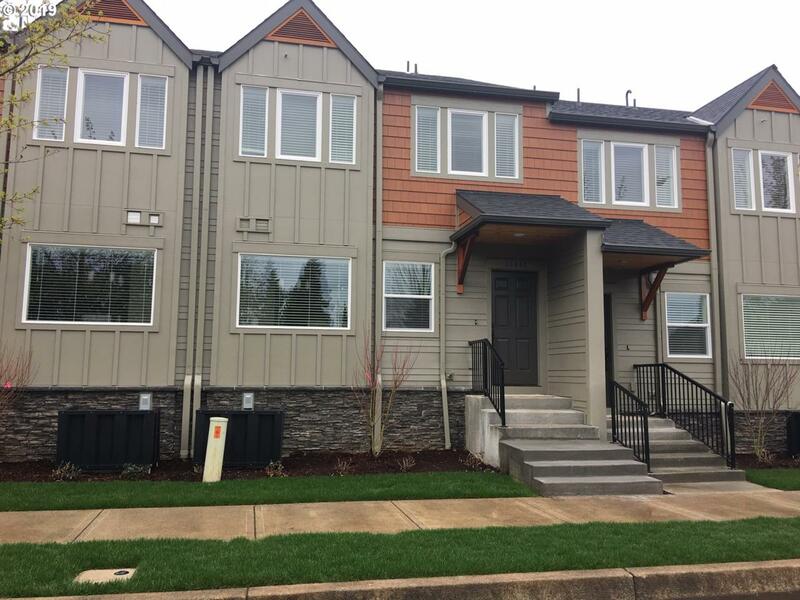 Interior photos are of same plan and are for example.Beautiful new town home located in the heart of Sandy!3 bedrooms & 2.5 baths.Open kitchen on the main floor offers quartz counter tops,stainless steel appliances & gas stove. Laminate floors through kitchen, dining, &living room.Enjoy the covered patio off the main floor! Access through lower level garage or from the front to enter at main level. Only plan with a 2 car garage.